I'm Andrew Kerr, a Fee Only Financial Advisor in Fresno, CA and a proud member of the Financial Planning Association. I specialize in holistic financial planning and investment management. In effort to help people make better financial decisions, free from investment sales and commissions, I established Blosser Harrison Wealth Management. I am grateful that you have visited my website and I look forward to sharing my holistic financial planning approach with you. What is holistic life-cycle financial planning? Holistic life-cycle financial planning is a financial planning process that focuses on you, your goals, your current phase of life and your assets. Life-cycle financial planning does not consider money as a means to an end, rather it considers money as a tool to help your plans become a realistic reality. During the life-cycle planning process we establish and define our relationship and I will advise you through the years and during the five phases of life. What's the difference between holistic financial planning and non holistic financial planning? Holistic financial planning is a fee only approach that helps you and me build trust by sustaining an objective coaching based relationship. Non holistic planning may require you to buy products which can create conflicts of interest. Andrew has worked for some of the largest financial firms and national broker dealers. (Nationwide Financial, Cambridge Investment Research and Lincoln Securities Corporation) With his extensive experience came a growing disdain for the brokerage industry and commission based stock brokers. Andrew ventured out on his own by opening Blosser Harrison Wealth Management in 2014. Blosser Harrison was founded on the firm belief that his client’s trust is his most valuable asset, and more importantly that trust must be earned. Husband, father, education and competitive cycling make up the majority of Andrew's personal life outside of work. Andrew and his wife, Rebecca (who also works as a risk management advisor at Blosser Harrison) just celebrated their 6th year of marriage in May 2018. They met in Fresno California, and ended up settling in beautiful northwest Fresno. In 2013 Rebecca and Andrew were blessed with the birth of their only child, Austen. Austen is a rockstar tap dancer, crazy strong gymnast and full of energy. Andrew absolutely loves endurance sports. He competed as a road cyclist in college and as an elite amateur during his 20's. Andrew no longer competes but participates in weekend charity rides and club events with Fresno Cycling Club. Prior to forming Blosser Harrison, in 2008 he founded Kerr Insurance Brokers, Inc.. Today, Kerr Insurance is a thriving provider of commercial insurance, loss control and risk management for small and midsize businesses nationwide. Andrew takes great pride in using his business acumen for the betterment of his clients while educating them on ways to save business profits or enhance their personal wealth, with little conflict. Help you determine if you should invest in real estate. Invest in alternative assets like, metals, real estate or private businesses. Analyse your current portfolio or workplace 401k. Develop tax strategies for your small business. Convert your 401k from commission based to fee only. Assess your personal or business insurance needs. Help your family plan for college savings. Andrew Kerr provides holistic financial planning for clients locally in Fresno, Clovis and remotely throughout the nation. 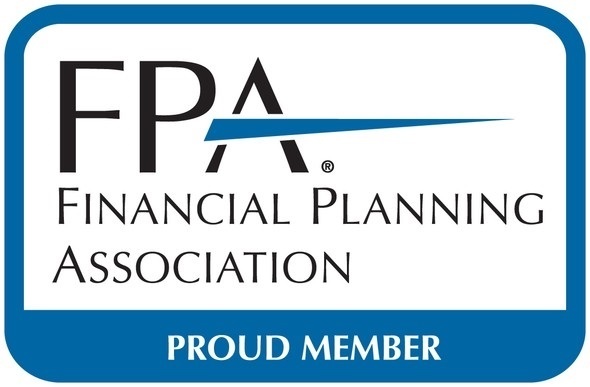 The Financial Planning Association® (FPA®) is the principal professional organization for CERTIFIED FINANCIAL PLANNER™ (CFP®) professionals, educators, financial services providers and students who seek advancement in a growing, dynamic profession. The primary aim of FPA is to elevate the profession that transforms lives through the power of financial planning. FPA supports high standards of professional competence, ethical conduct and clear, complete disclosure when serving clients. FPA’s One Connection™ for professional development, business success, advocacy and community at the national and chapter levels is truly indispensable in the advancement of today’s CFP® professionals. Andrew is not a CFP holder. Andrew is a ChFC Chartered Financial Consultant candidate.